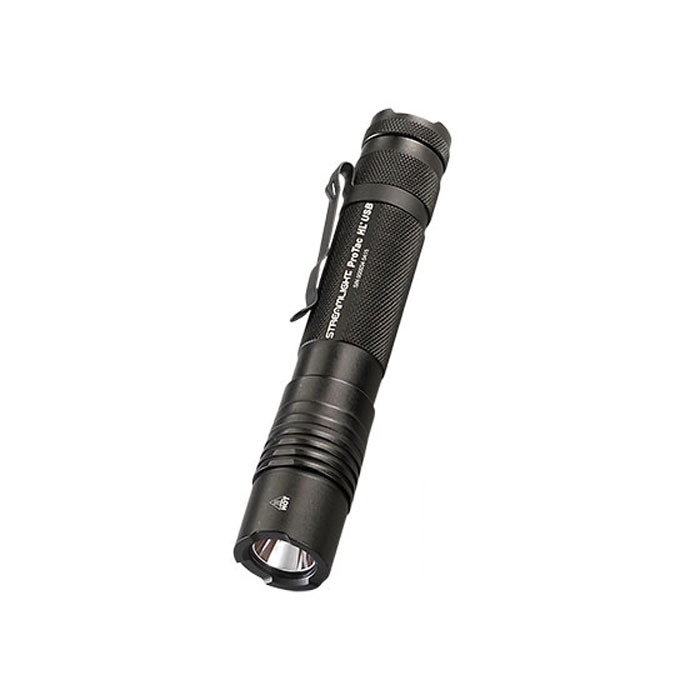 The Streamlight Protac HL is a high lumen USB rechargeable flashlight that allows you to charge on the go. Features three different beam settings: High (850 lumens - 1.5 hour run time), Medium (350 lumens - 4 hour run time), Low (85 lumens - 12 hour run time), and strobe. 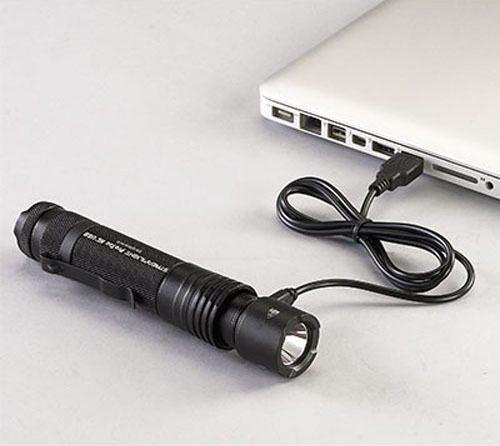 Durable, anodized aluminum construction; IPX4 water resistant; 1 meter impact resistance tested, water-resistant sliding metal sleeve protects USB port. Includes USB cord, removable pocket clip and tear resistant nylon holster.